Today, a new version of MyPhone Rio has been seen at online shopping site Lazada. The said smartphone is the upgraded version of Rio Craze, it has better hardware and it comes with 3G connectivity. 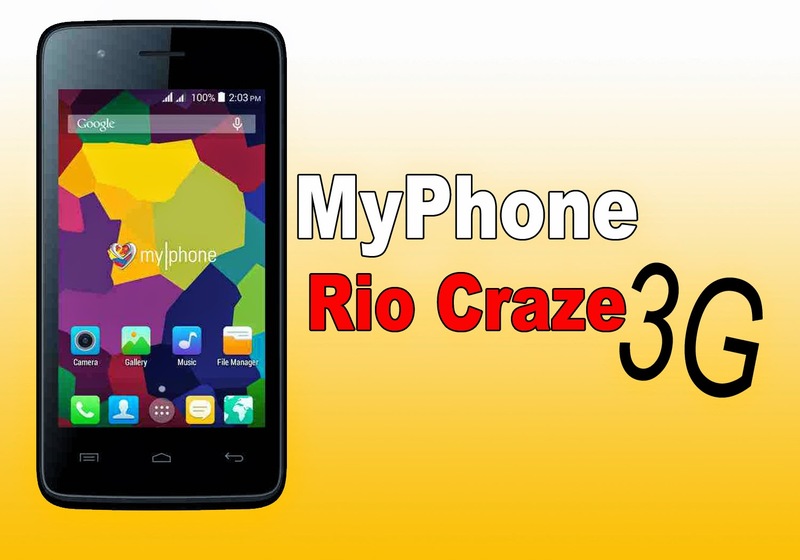 Meet the new Myphone Rio Craze 3G! Myphone Rio Craze 3G comes with 4-inches display, it is powered by a Mediatek 1.3GHz Dual-Core processor with 1GB of RAM and 4GB internal storage. This dual sim cheap smartphone has an Android 4.4.2 KitKat operating system. The device also equipped with 3.2 megapixel camera on the back together with LED Flash. And for the user who wants to take selfies, a 1.3 megapixel camera can found on front. The new MyPhone Rio Craze 3G is now available at Lazada for ₱2,599.